BBC News - Are kids growing out of children's gadgets? Are kids growing out of children's gadgets? Children often confound their elders by knowing how to use gadgets better than the parents who bought it. 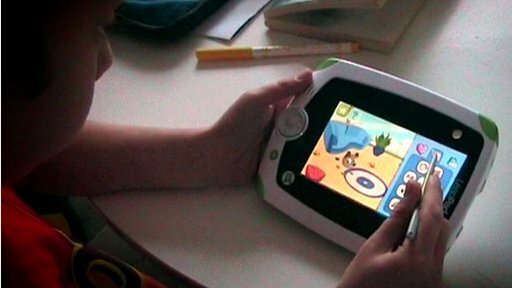 But do children need gadgets all of their own or is what is good for adults equally as good as for children? Certainly children's tech is more robust and brightly coloured but is it any different from putting a cover on an iPad and letting a child use it? Spencer Kelly investigates.